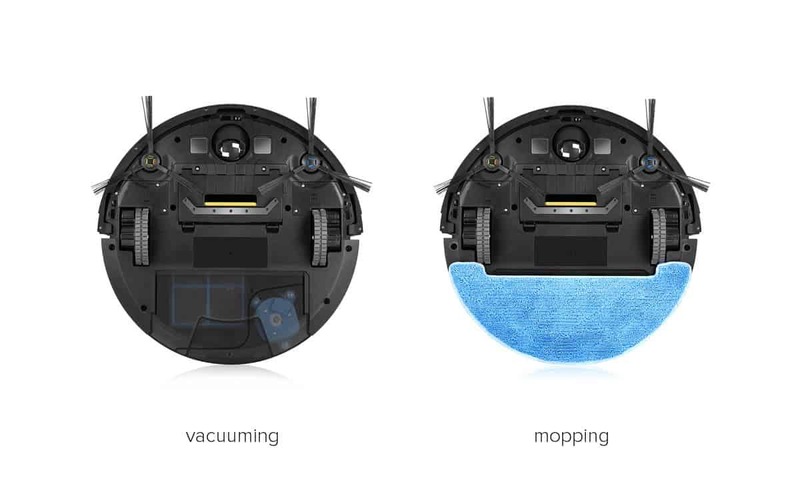 Chinese manufacturer iLife is back with a new flagship robot vacuum — the V8. But is this something that should interest you? After a week toying around with the bot, I think it should. Image credits Mihai Filip / Shotworks Photography. It’s not perfect. It’s possibly not the most innovative or flashy robot vacuum out there, either. But the V8 digs down to the core identity of iLife’s products — good value — and doubles down on it. If you’re looking for a robot that will vacuum and mop with very little oversight on your part, the V8 is right down your alley. With a $250 price tag, it will be right down your wallet as well. 3 How well does it work? 6 Would I recommend it? For the V8, iLife stays true to the design principles it set down with its ‘A’ series — personally, I fell that they made the right choice. It sports a sleek, two-colored body with a touch of minimalism. It’s quite pleasant to see it go about its business through the house. The tried-and-true front bumper got a subtle redesign but is just as effective at protecting the bot from any eventual blunderings. Its topside sports 5 buttons — power, home, schedule, spot cleaning and a mapping button — and a screen display for time and battery level. The underside houses the wheels and cleaning implements (more on that later). It comes packed with two sets of cleaning brushes — including a tangle-free rubber brush that will become your best friend if you own pets — a dustbin for vacuuming, and HEPA filters. Should you be in the mood for (avoiding) some moping, the bot can be fitted with a water tank and two sink-washable microfiber cloths. The charging dock, power cable, user manuals, and remote control are also included in the package. You will need separate batteries for the remote. Now onto the meat of it. The V8 outdoes its older cousins such as the A4 in raw power. Its vacuum is brawny enough to remove impressively-looking pieces of debris. The dustbin is large enough, at some 750 ml (25.3 fl oz), that you don’t have to empty it after every round. In my case, it hoovered up some 10 grams (0.35 oz) of dirt after every run. It has to be noted that my flat sits on the side of a major boulevard, and it gets really dusty. It was also very determined in going over anything I’ve put in front of it — only refusing to cross bunches of wires or particularly fluffy rugs. The last bit is actually not a bad thing: you can leave the floors in the V8’s care, knowing that it won’t get stuck on something it can’t cross. The bot is also slim and reaches under most furniture, so you don’t have to do any heavy lifting while it goes about its day. 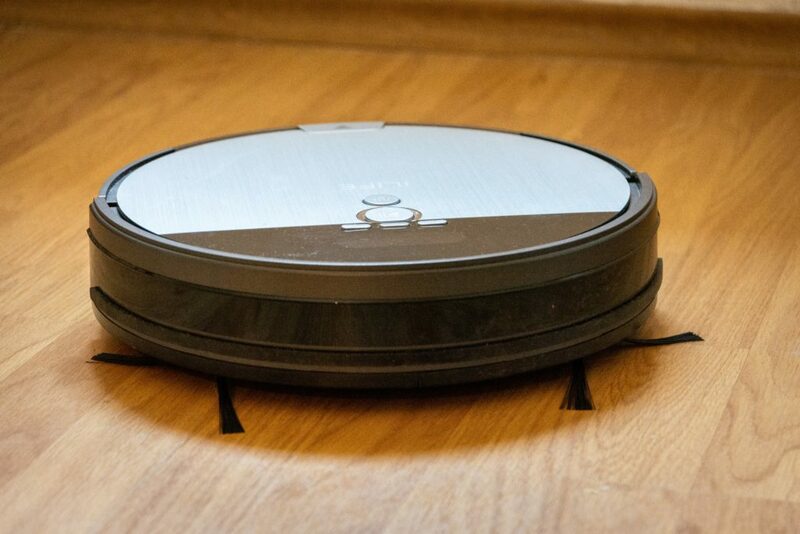 Although I don’t consider mopping a central requirement for a robot vacuum, it’s a nice feature to have. The V8 also does it well. It will keep tabs on the amount of liquid permeating the cloth so it’s never too wet or too dry. Something I do consider very important in such a device, however, are collision sensors and pathing options — the V8 carries itself well in both regards. It is one of the few such robots on the market with a ‘brain’ to help it self-navigate around rooms and a 360° live camera to help it avoid obstacles. It will softly bump into stuff sometimes to see if it can push it out of the way — which I always find funny. Should it fail that, it will just back off and move on. But it won’t drop down a flight of stairs, or from a tabletop, if you decide to put it there in the first place. The robot will try to use a systematic approach to cover all floor surfaces — but it will improvise when a piece of furniture blocks its way. Image credits iLife. It has two pathing options, and an inbuilt gyro array to ensure it stays true to its path. The redesigned remote also allows you to point at any spot you want the V8 to clean — very handy. Its battery will last for a very good 2 hours at a time, taking 3 hours to fully recharge. When the battery runs low it will put its current tasks on hold, head to its charging station, and wait for the battery to refill. Compared to previous iLife robot vacuums, the V8 also inches ahead in regards to cleaning speed. The ‘jack of all trades, master of none’ brand is quite appropriate for the V8. It will do a good job of cleaning your house, with the obvious limitations inherent to robotic vacuums. It will both mop and vacuum with enthusiasm — making it good, but not perfect, at either task. For example, it just doesn’t have the mass to scrub floors like a dedicated mop. But in a maintenance role, it holds its own against competitors. The two main issues the V8 has are a lack of programmable barriers or a recharge & resume function. They are, however, quite minor problems in my view. My place isn’t very large, so the lack of barriers wasn’t actually an issue. Should you live in a mansion, however, your mileage may vary on this one. The recharge and resume function, in my eyes, is more of a flashy quirk. The bot will resume its duties from the charging station after topping off its battery, so it’s not something you really need. If you really want those features, however, the V8 might not be for you. The V8 also comes with a voice alert assistant system that scared the bejeezus out of me the first time I heard it. However, it can be configured to keep you updated on the robot’s state — such as its battery level and the expected time of its job completion. You also get voice control options, so you can prompt the V8 to detail its current condition. It’s the first iLife robot vacuum that has its own app. This allows you to track its movement in real time, or see where it plans to go clean next. Finally, the remote control gives you complete control over the robot. You can schedule cleaning, choose cleaning modes, or prompt the unit to return to its charging station without even getting out of bed. Yes. It’s neither a perfect vacuum nor a perfect mop but it’s a good vacuum-and-mop. It will vacuum all but the most stubborn of messes and the mop functionality is good enough to keep floors in good condition. A generous battery capacity coupled with solid hardware and software makes it very low-maintenance. Multiple features make it a versatile and convenient device and operating it is a breeze. It has a longer running time than competing robots and is more powerful than its older cousins from iLife. With a price tag of only $250, this is a very attractive buy — probably the best if you’re shopping on a budget.